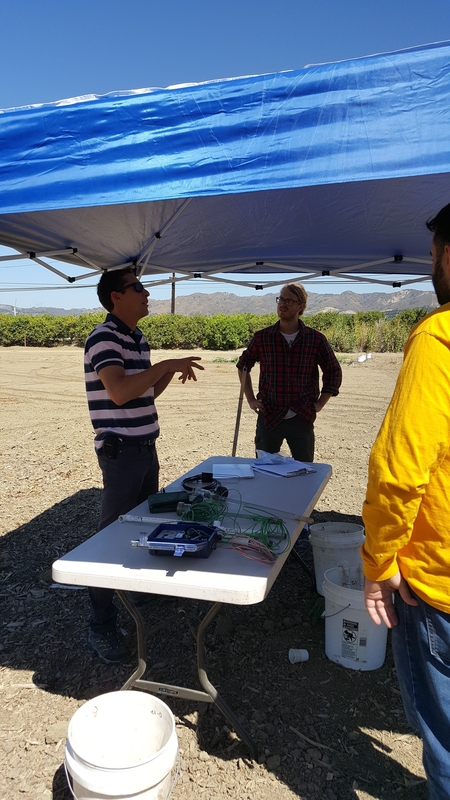 On Tuesday, July 19, the UC Hansen Ag Research & Extension Center collaborated with Pow Wow Energy, California Lutheran University, UCSB and Cal Poly-SLO in hosting an Ag Meets Tech event. 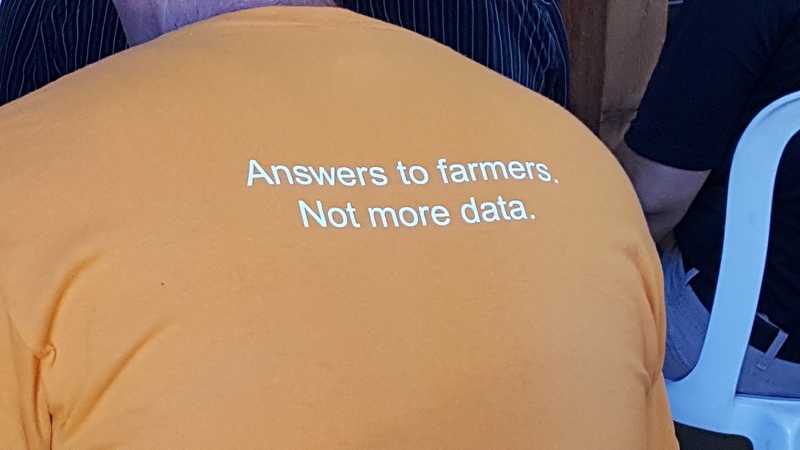 The event focused on Simple Solutions to Real Challenges in Water. The morning began with a welcome by Dr. Ben Faber, UC Cooperative Extension-Ventura County. Several short presentations covered areas of interest for growers, techies, and academics. Technologists and growers participated in field demonstrations with hands-on opportunities involving automated water records, variable speed pumps, moisture monitoring options, and irrigation systems. 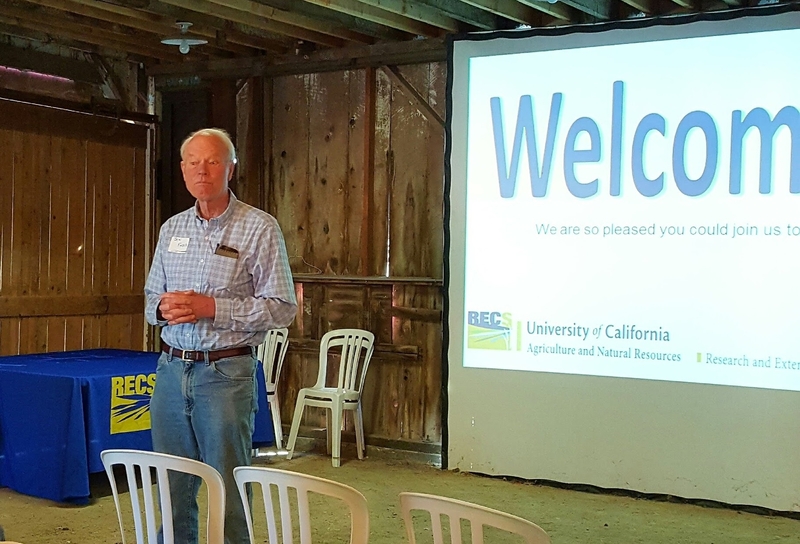 A discussion panel concluded the half-day event with moderator by Jim Dunning, Cal Poly-S.L.O. and panelists Robert Abbott, third generation grower at Abbott Farms, Andy Coker, assistant manager of farming operations at Limoneira, Dr. Chandra Krintz, computer science professor at UCSB and PI of Smart Farm project, Mike Sullivan, farm manager at Churchill Orchard, Olivier Jerphagnon, founder and CEO of PowWow Energy.